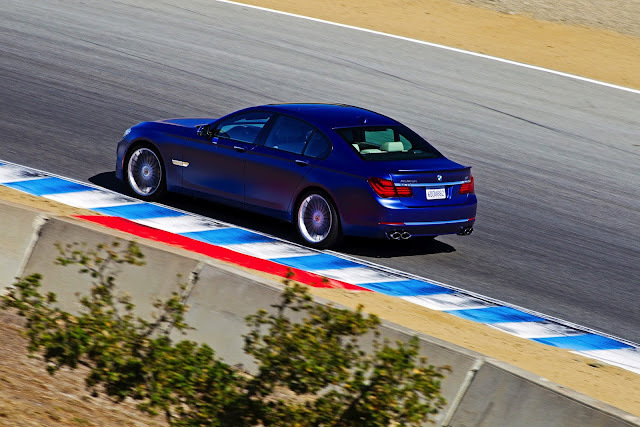 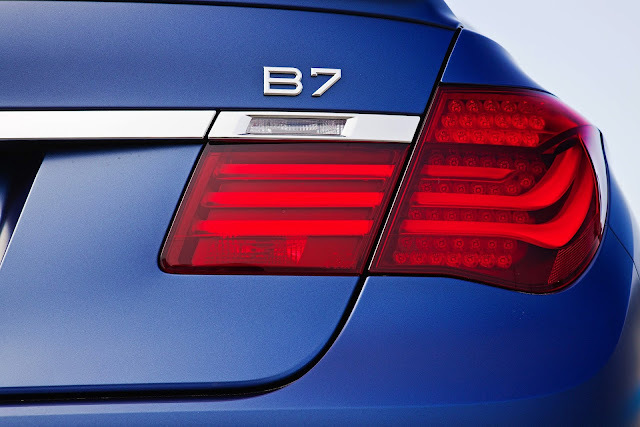 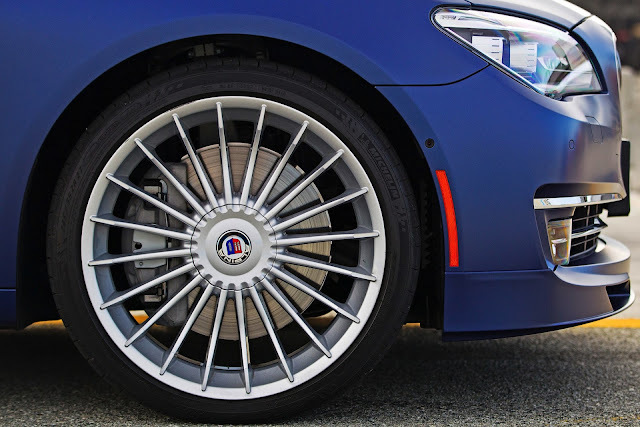 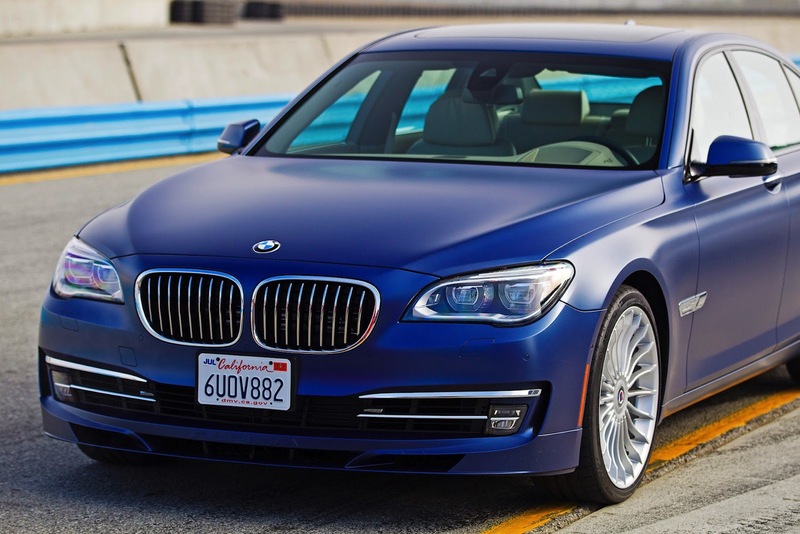 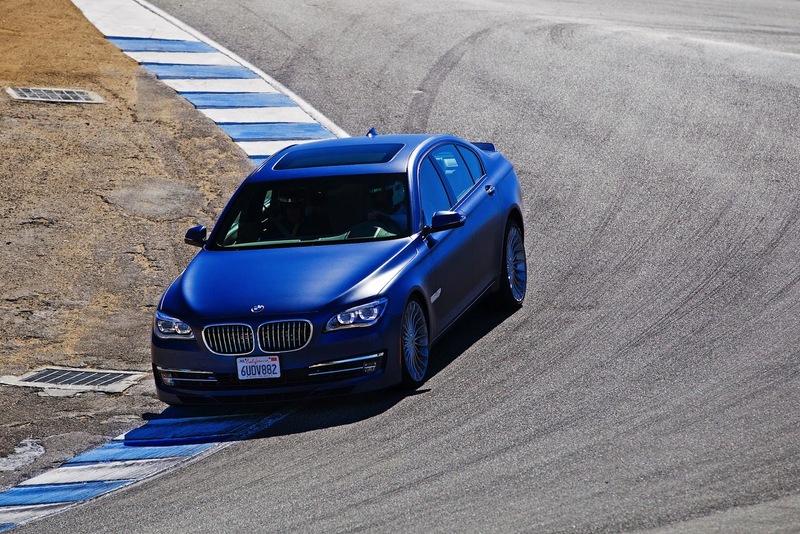 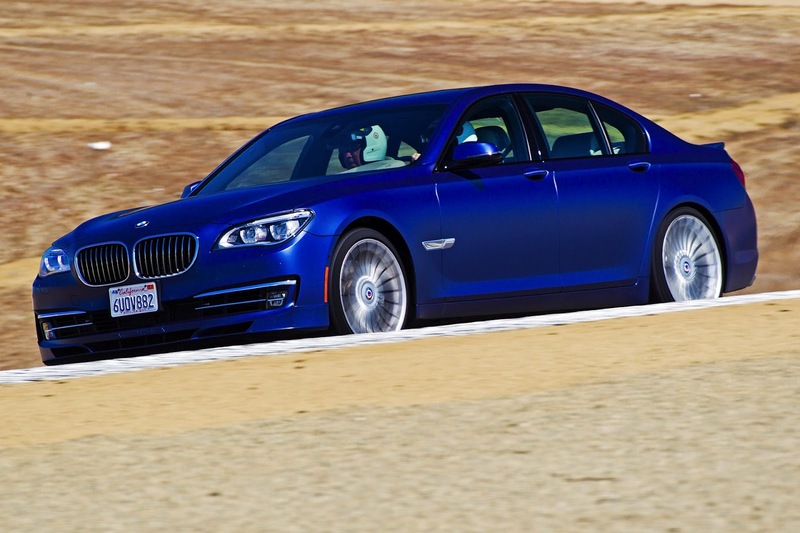 BMW Markham | New Vehicle Information | 2013 BMW Alpina B7 LCI on the track. 2013 BMW Alpina B7 LCI on the track. 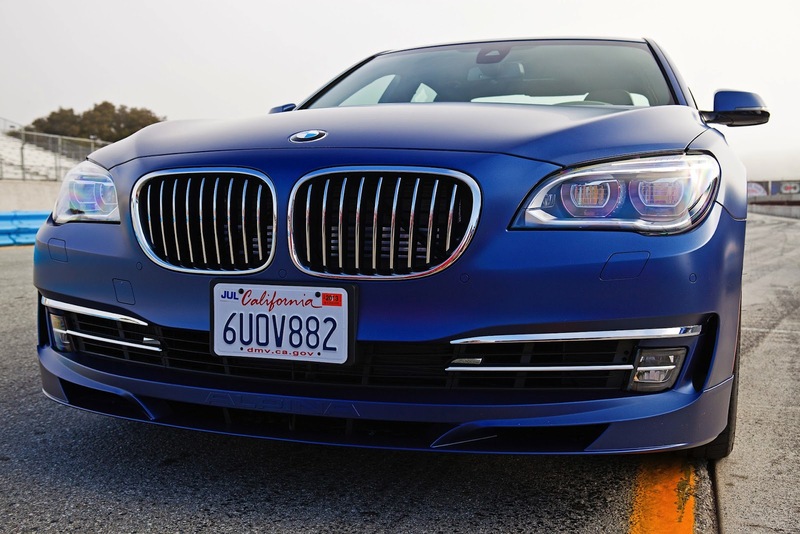 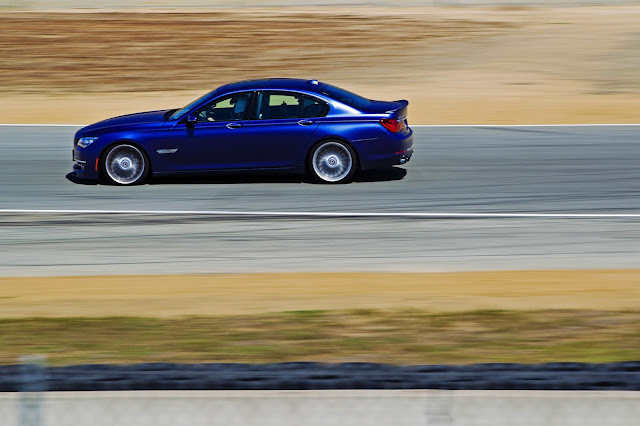 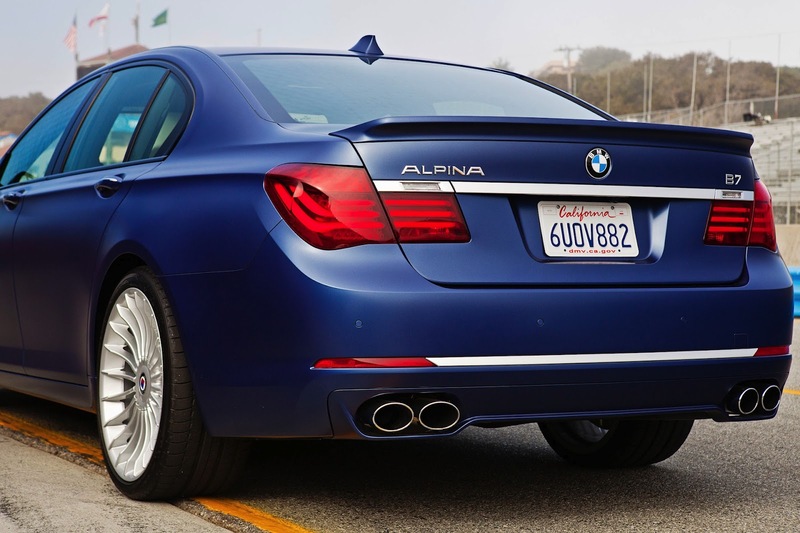 Here we have some fantastic photos of the LCI 2013 BMW Alpina B7 Sedan from 7post’s press track day. 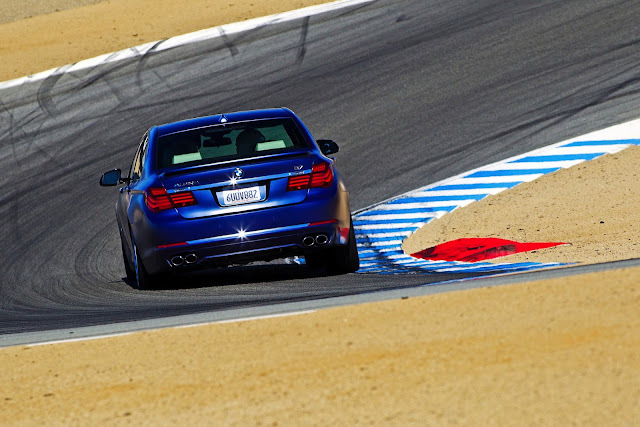 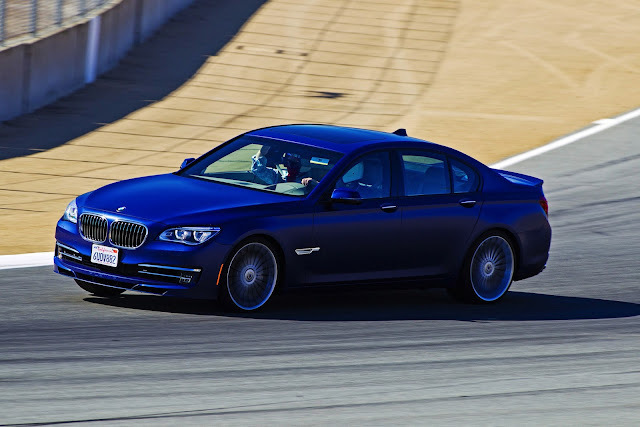 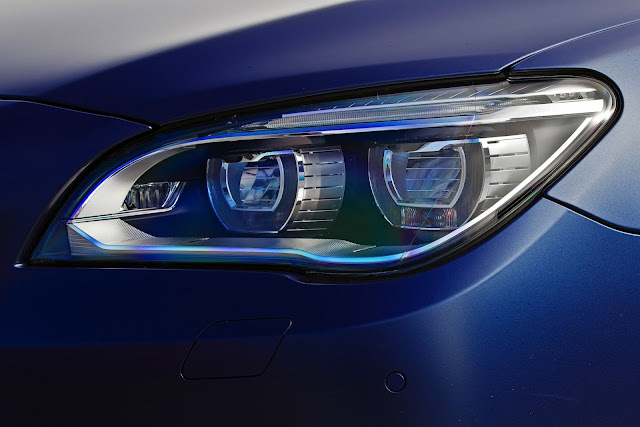 The Alpina B7 in these photos appears to be in Frozen Blue making it’s round at Laguna Seca accelerating from 0-60mph in 4.4 seconds, which is pretty impressive for a 5000 pound limousine. 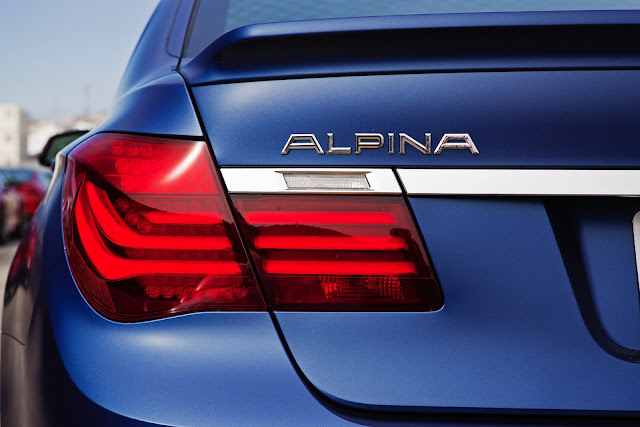 The 2013 Alpina B7’s V8 produces 540 horsepower with 538 ft-lb of torque and a top speed of 312km/h (194 mph). 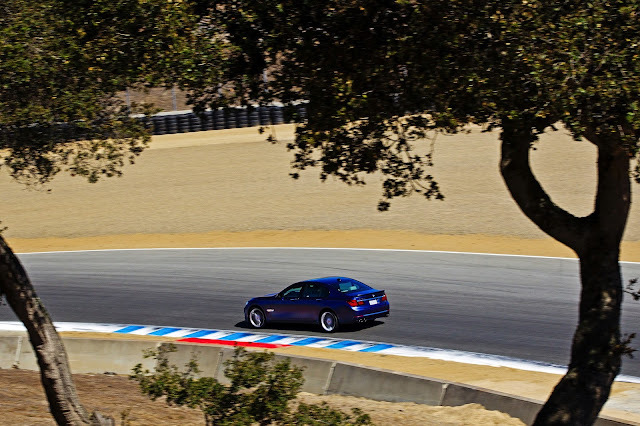 A full gallery after the jump.